Electric car ownership within the UK – What can we expect? 2018 has been a year of so many technological advances, but what can we expect for the future? Well, it’s easy to see that cars are rapidly changing, with fully autonomous cars set to be rolled out by 2020. The concept of the electric car may have been around for over 100 years, but what can be specifically expect from our electric automobiles in the coming years? Is electric car ownership going to increase? It will take time, but in the near future, we’re going to be closer to an all-electric car ownership than we ever have been before. Last year, there was a 27% increase in purchasing electric cars compared to the previous year. However, if the government is to reach its target of three out of five cars being electric in just over 10 years, it’s argued that more must be done to make this a reality. Earlier this year, ministers were informed that most new cars would have to be electric by 2030. The buzzword was ‘electrification’ at last year’s Frankfurt show meaning that every car of a certain brand will be available in an electric version. While there are currently models, such as a used smart car available under its umbrella, Mercedes’ parent company, Daimler, announced at the German event that they too would have electric versions of its own fleet by 2022. However, this didn’t necessarily mean that they would be a fully electric battery-powered vehicle, as the term could also refer to hybrid models. Creating a greener environment is at the forefront of our plans worldwide. Protecting the environment has become a worldwide issue – and rightly so. Whether it’s cutting back on unnecessary plastic usage, or cutting back on emissions, creating a greener environment is at the forefront of our plans. New diesel and petrol cars is planned to cease by 2040 and electric motors are widely seen as a way for us to improve the quality of our air and meet climate goals. It has been proposed that these vehicles will be off the roads altogether 10 years later. With emission charges already in place in London, other major motorways, including the M4 and M32, are expected to start holding pollution taxes by 2020, meaning that you’ll need to switch to electric cars to avoid these costs. This means that purchasing an electric car can personally save you money in the long term and Go Ultra Low also claims that a full charge could cost as little as £3, meaning it may cost approximately 3p per mile. What is being done to work towards this? It was reported that there were approximately 12,000 electric car charging points across the UK in February last year. By July this year, that figure had risen to over 17,000 across 6,000 locations, according to ZapMap. Worldwide, there are over two million ports, but for the public to go fully electric, this number will have to dramatically increase. Not only that, but there will have to be a lot more batteries produced, and the power to charge them would have to be generated somewhere. 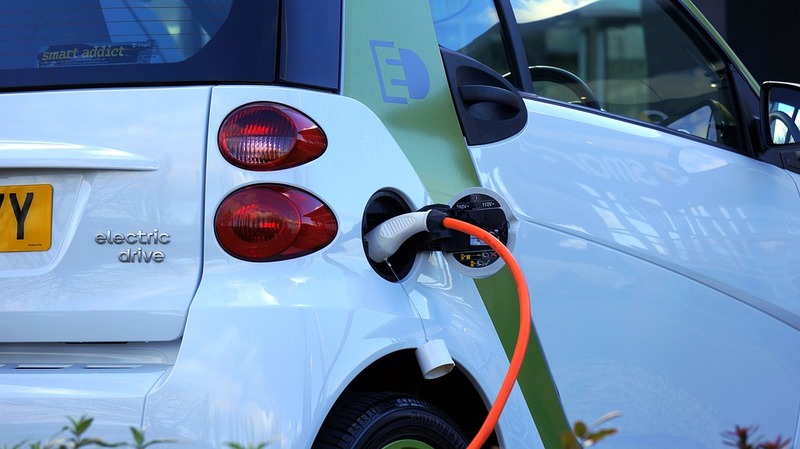 EV charger installation is now a big part of the action plans for power companies as they bid to provide a low-carbon connection gateway. What are the benefits of having an electric car? Owning an electric car can have many benefits, as well as the money-saving and efficiency aspects. Since electricity is a renewable energy, there will always be power available to utilise. Also, the prices are steadily coming down, making the initial outlay a lot less hefty. They also need a lot less maintenance care, as they have 10-times fewer moving parts to cars powered by diesel or petrol. So, with electric cars steadily increasing in numbers and the government pushing for the ‘electric takeover’ it’s clear that, one day, there will be an all-electric future. Whether it happens in the time frame proposed, we will just have to wait and see! According to Real Simple, if every American made an effort to launder less — cutting out just one load of laundry a week per household — we’d save enough water to fill seven million swimming pools each year.